Today’s idea for a post was Laura’s. 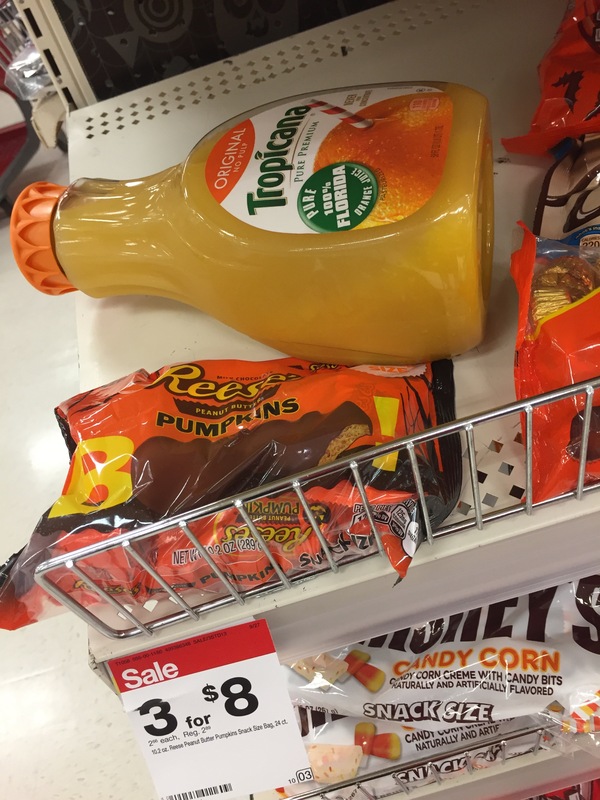 She’s the one who spotted the bottle of OJ by the Halloween candy display. “This should be a blog.” she said, when we came across another example. Once you start noticing the items out of place, they are EVERYWHERE! Look as you go around a store and you will find your own examples. People change their minds when they shop, sure. 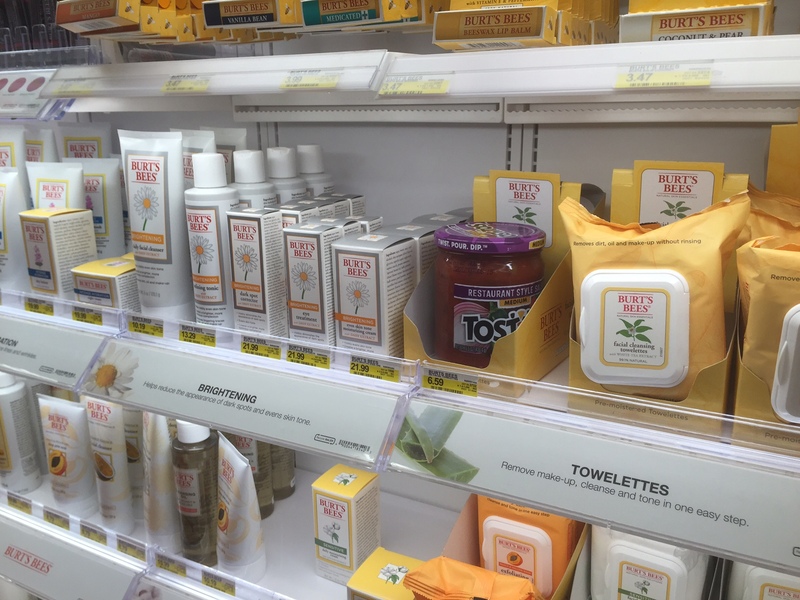 But placing a refrigerated item on a shelf across the store? At least take it to the register and state, “I decided to not buy this after all” and it can be reshelved appropriately. And then there are those who litter the shelves. With garbage. Do You Have Magnets on Your Fridge? 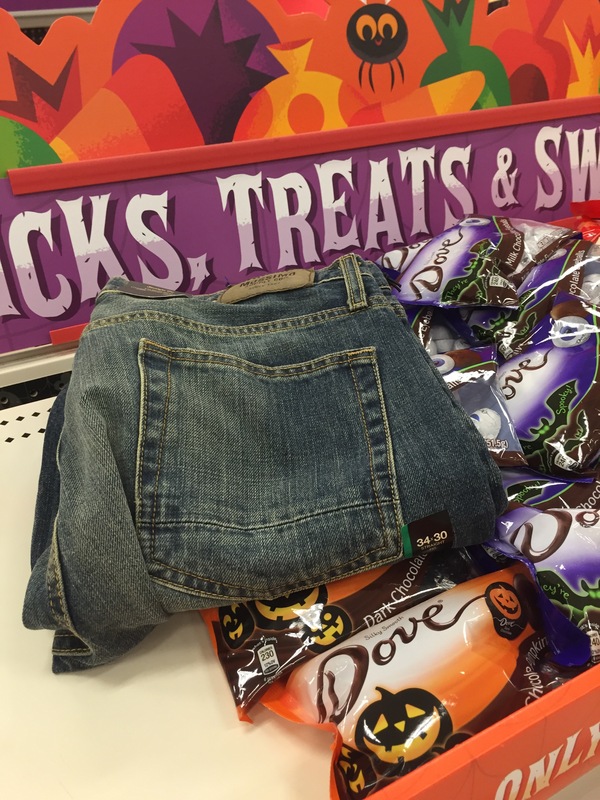 Oh my – I had to laugh at the misplaced jeans. But really people things should be put back where they belong. I’m not blaming anyone reading Ruth E’s blog. I’m just saying! Great idea for a post. And it’s sad that people don’t even consider bringing back items they have picked and want to leave – or do as you suggest. Nevertheless a fun post. Thank you Otto. I liked your post about intent of photographer. I’m always trying to make sense of my world. Some people are very thoughtless, for example those that litter— who do they think is going to pick up after them? But it makes for a nice series with bright colors. You’re right, Ruth. 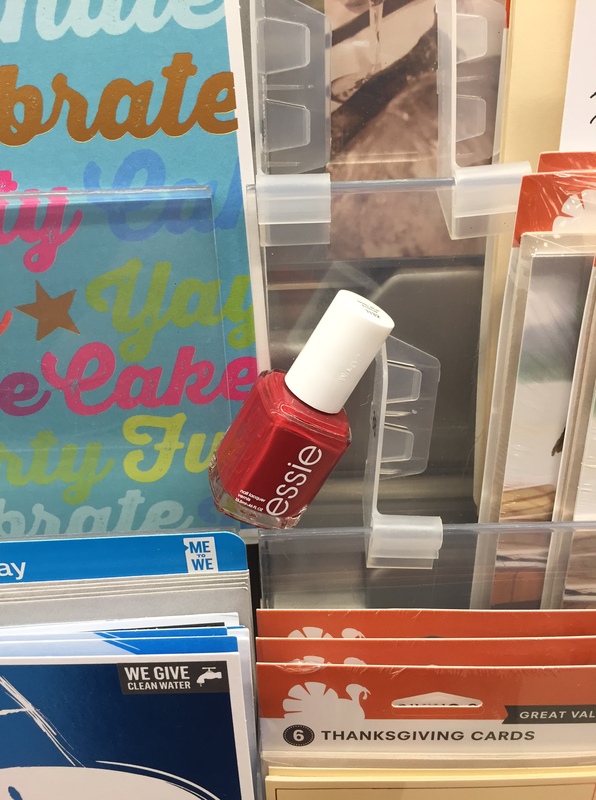 Once you spot one out-of-place item, they appear everywhere. I’ve seen eggs left in non-refrigerated aisles. How thoughtless! Working two decades in retail, this is my pet peeve!! “Zoning stray” (as it’s known in the biz) is one of the larger drivers of store payroll. 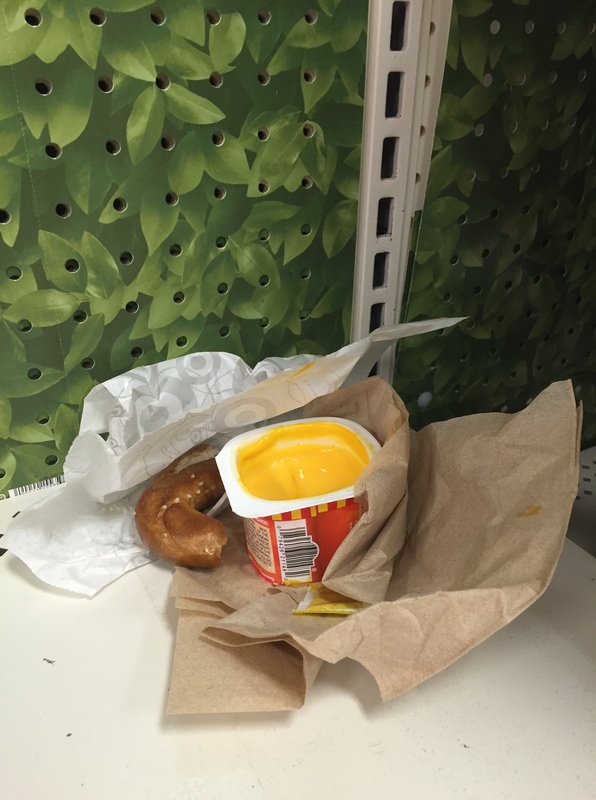 If people just put things back where they found them (which is common decency, IMO), retail prices would go down. Grr.